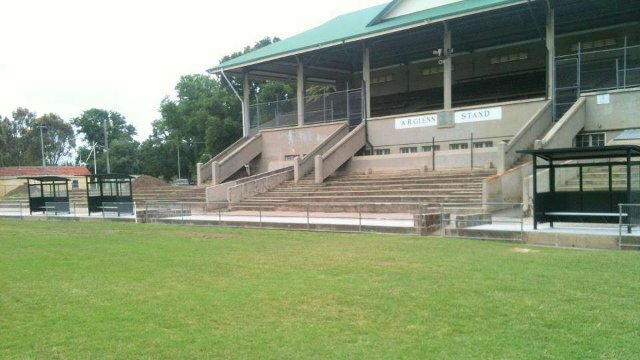 While in many respects the period at Brens mark the halcyon days of the North Old Boys in 1991 the Club made the decision to leave the ground and relocate to Gillon Oval, Brunswick. The previous occupant of the ground, VFA Club, Brunswick, after suffering a number of heavy defeats and obviously being quite uncompetitive had opted to suspend operations and disband leaving the oval vacant. Ironically, the President of the Brunswick Football Club and man who took the decision to pull the Club out of the VFA was North Old Boys ‘immortal’, Denis Connaughton. Essentially, the decision to move from Brens was taken by President Tony Duggan and the Committee to try to ensure the stand of facilities necessary to attract and retain players of the calibre and ability required to compete at the highest level in the VAFA. Excited at the prospect of playing in Brunswick, the decision was strongly supported by the players. Clearly, Gillon Oval was seen by the committee as providing such amenity including larger and more serviceable changing rooms, space for a gymnasium and modern social facilities and also scope for expansion and improvement. As well the playing surface of Gillon Oval was excellent. Most importantly, the Council of the City of Brunswick appeared considerate of the needs of sporting groups and had in fact been quite supportive of the Club in negotiations throughout the 1991 season. The Club also saw the relocation as providing the opportunity for a much needed district identity with support from the local community, residents and traders boosting the Club’s stocks over the years to come. Indeed, the Club’s move to Brunswick provided the impetus for other A Section Clubs to shift to better appointed former VFL or VFA Club grounds. The oval is west of Sydney Rd, located near the border of Brunswick West. On Victoria St, tranfer to the 508 Alphington – Moonee Ponds bus for two stops, getting off at Clifton Park. Take the #19 (Sydney Rd) or #1/#8 (Lygon St). Transfer to the 508 bus mentioned above, connecting at Victoria St from tram #19 or Blyth St from #1/#8. Depart at Clifton Park and walk across the street. From the city, take Royal Parade (via Elizabeth St) or Nicholson St to meet Victoria St, then head west. Turn right onto Melville Rd. Turn right onto Pearson St.
Alex G Gillon Oval parking lot entrance is on the left.